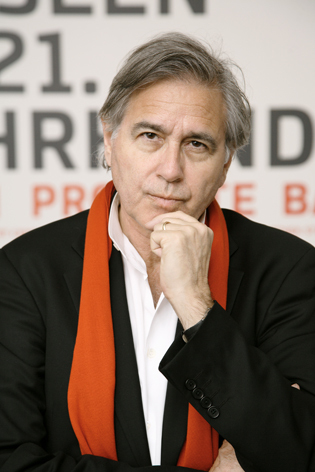 Bernard Tschumi is widely recognized as one of today’s foremost architects. First known as a theorist, he drew attention to his innovative architectural practice in 1983 when he won the prestigious competition for the Parc de La Villette, a 125-acre cultural park based on activities as much as nature. The intertwining concepts of “event” and “movement” in architecture are supported by Tschumi’s belief that architecture is the most important innovation of our time. Tschumi often references other disciplines in his work, such as literature and film, proving that architecture must participate in culture’s polemics and question its foundations. Since then, he has made a reputation for groundbreaking designs that include the new Acropolis Museum; Le Fresnoy National Studio for the Contemporary Arts; the Vacheron-Constantin Headquarters; The Richard E. Lindner Athletics Center at the University of Cincinnati; two concert halls in Rouen and Limoges, and architecture schools in Marne-la-Vallée, France and Miami, Florida, as well as the Alésia Archaeological Center and Museum among other projects. The office’s versatility extends to infrastructure projects and master plans. Major urban design projects recently executed or in implementation under Tschumi’s leadership include master plans in Beijing, Shenzhen, New York, Montreal, Chartres, Lausanne, and Santo Domingo, with a new city for 40,000 residents. Recently completed are the Hague Passage and Hotel in the Netherlands, a Philharmonic Hall for Le Rosey, near Geneva, an expansion of the headquarters for Vacheron Constantin, and a major renovation and redesign of the Paris Zoo. The Exploratorium, a 50,000 sf Museum for the Industry and the City, opens in 2017, in Tianjin. The many books devoted to Tschumi’s writings and architectural practice include a comprehensive monograph, titled Architecture Concepts: Red is Not a Color, narrates Tschumi’s career in work and ideas since the 1970s and was published by Rizzoli in 2012, the four-part Event-Cities series (MIT Press, 1994, 2000, 2005, and 2010); The Manhattan Transcripts (Academy Editions and St. Martin’s Press, 1981 and 1994); Architecture and Disjunction (MIT Press, 1994, translated in eight languages); and the monograph Tschumi (Universe/Thames and Hudson, English version, and Skira, Italian version, 2003). A series of conversations with the architect has been published by The Monacelli Press under the title Tschumi on Architecture (2006). Other recent publications include a French and English language biography on Tschumi by Gilles de Bure and The New Acropolis Museum, published by Skira / Rizzoli and the important catalogue by the Centre Pompidou in Paris (2014). A graduate of the Swiss Federal Institute of Technology (ETH) in Zurich, Tschumi has taught architecture at a range of institutions including the Architectural Association in London, Princeton University, and The Cooper Union in New York. He is a Professor at Columbia University’s Graduate School of Architecture, Planning and Preservation where he was Dean from 1988 to 2003. Tschumi is a permanent resident of the United States and has French and Swiss citizenship.